Simple design ideas that transform your dorm into a place that feels like home! Adding the finishing touches to your dorm can truly transform your new space into your new home. But, as we're sure you already know, there are tons of rules about what you can and can't bring and decorate, plus, limited space make it all happen. We won't let that stop you from creating your dream space though - so check out a few of our easy dorm DIY ideas that are school-rule-friendly and instantly make your space feel more like a home. Washi Tape is going to be your best bet when it comes to creating designs in your dorm or on your apartment walls. They won't damage your walls and the seemingly infinite colors they come in lend themselves to creating designs and accents of all shapes and sizes. 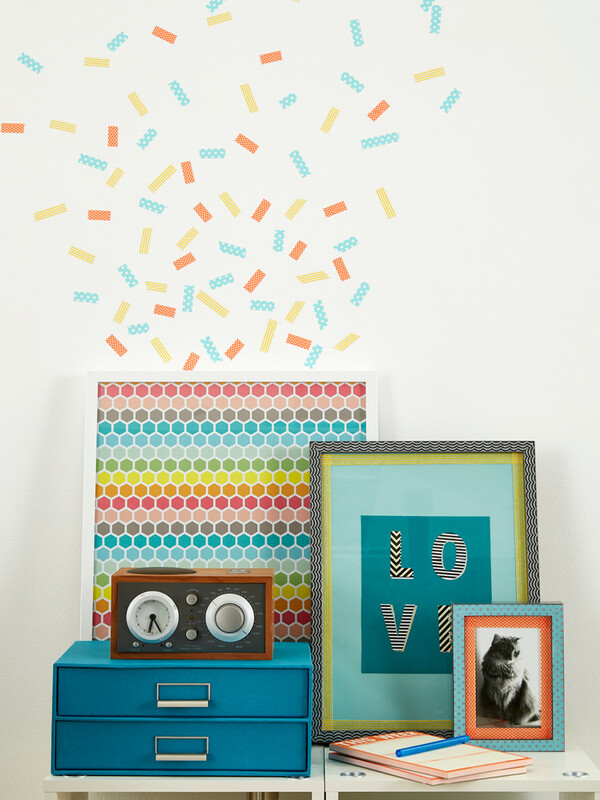 Create a confetti masterpiece by using alternating small cuts of Washi Tape along your walls in the design you prefer. We added to the colorful display by framing our Honeycomb Wrapping Paper Sheets in a simple white frame. Feeling a different aesthetic? They can easily be removed or made into any design you can dream up. The key thing we all know about dorms is that they're lacking in space. That's where you have room to get creative. Use your desktop both as a place to study and as a calming space to get ready in the morning with a few of these favorites. 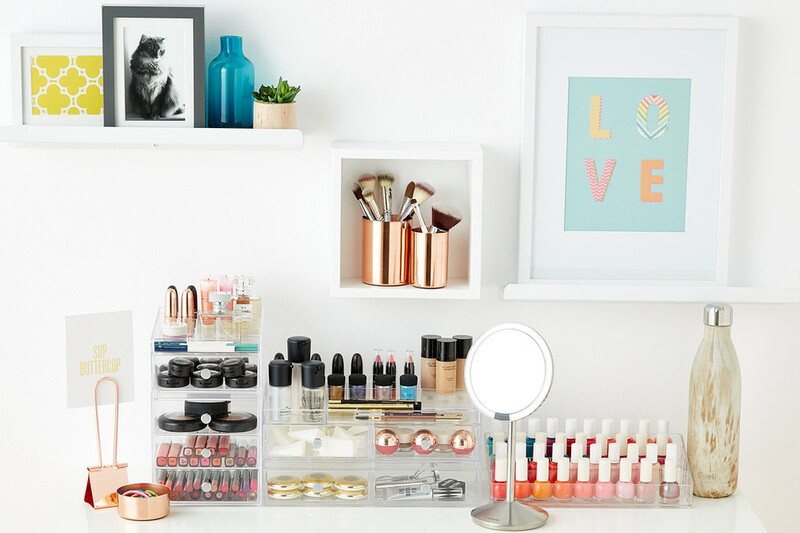 Our Magnetic Copper Desk Set not only looks beautiful with its rosy-gold hue, but it also functions as office and makeup storage for this two in one space. Want to add some additional pops of color? By framing some colorful wrapping paper, you've created a simple yet stylish backdrop for your study/getting ready area. Here, we used our Jumbo Multicolor Uppercase Alphabet Stickers and Tranquil Pool Wrapping Paper to create the "LOVE" detail, and used the unique pattern of our Yellow Casablanca Treeless Wrapping Paper to accent the black and white photo along the shelf. 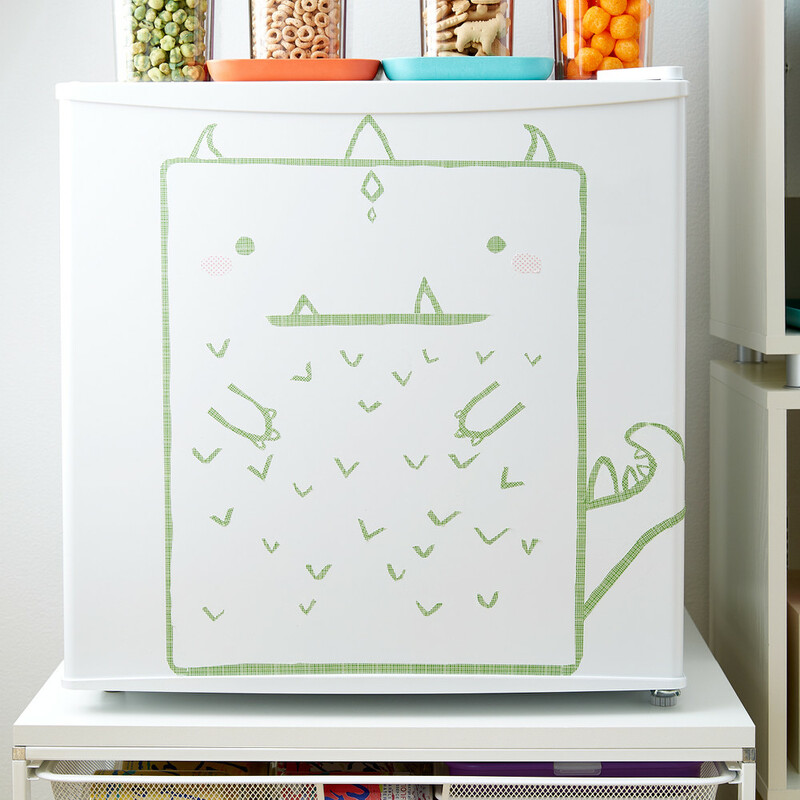 With, you guessed it, Washi Tape , you can create this hungry monster design on the cover of your fridge. It's a funny addition, though maybe for the more advanced Washi Tape aficionados, but it goes to show that even the littlest things can add a touch of happiness to the dorm. Use yours to create a sun pattern or the graphic design of your choosing, whatever takes it from a regular fridge to a piece of art! So you don't have a walk-in closet…. that's okay! You're in college, you're not supposed to! 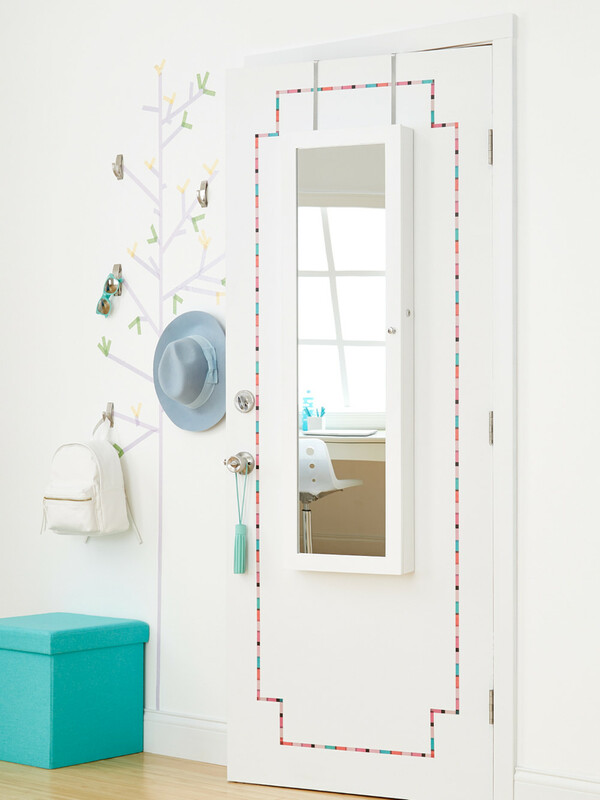 But you can still make it feel a bit more glamorous by framing out your over the door mirror with graphic Washi Tape. It instantly makes the door and the space look and feel larger. Plus, Washi Tape is so easy to create designs with and remove once you're tired of the look! You'll need a place to put all your "stuff" at the end of the day, and you likely won't have rows of hooks or closet space to store it all. 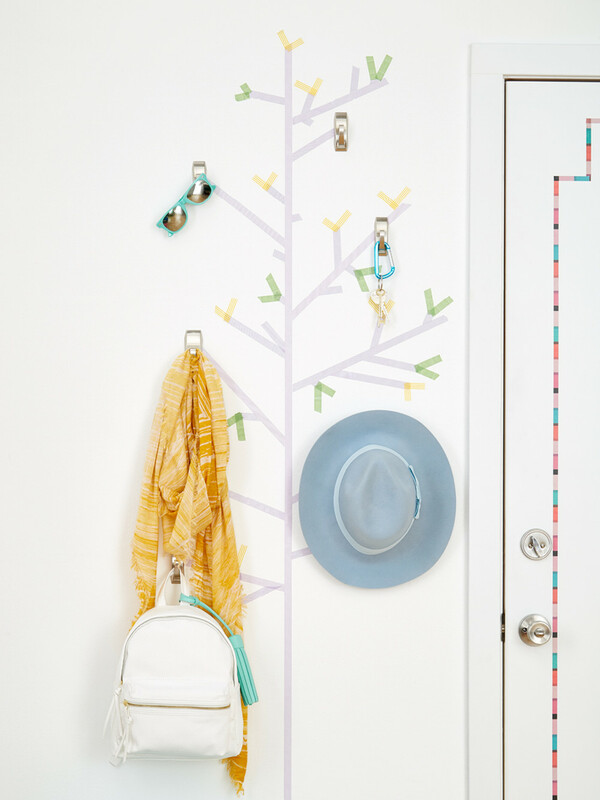 Use our heavy-duty Command Strips to secure all of your out-the-door essentials and mix up the classic hook thought process by creating your own cute tree or geometric design. You'll likely be doing loads of laundry (pun intended) with workouts, walks across campus, parties and classes combined. 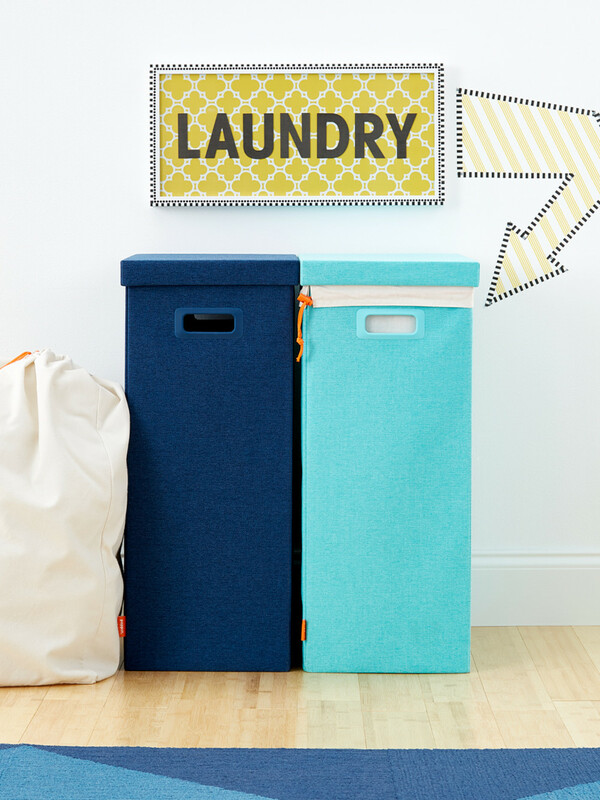 Keep the space you share clean and divided with our version of a laundry center. Our Poppin Laundry Hampers have a slim profile but they pack a lot of power. They feature a sturdy but soft exterior with integrated handles and a fitted lid. Inside, the canvas liner doubles as a laundry bag that travels easily from hamper to washer. And, because the bag is machine-washable, everything stays fresh enough to sit out in a dorm room, bedroom or small bath. 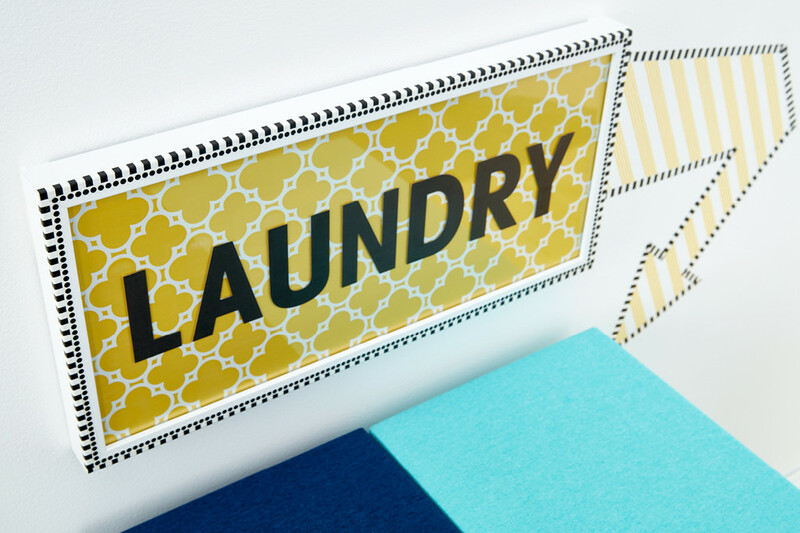 We used our Washi Tape, Jumbo Uppercase Alphabet Stickers and Yellow Casablanca Treeless Wrapping Paper to create the fun laundry sign that won't damage your walls and can be quickly removed at the end of the year. We hope a few of these ideas have inspired you to transform your dorm décor, or at least made you a little more excited to get the semester started! Let us know your favorite idea in the comments and, if you're a recent grad, sign up for our college program to get 20% off everything you need for an organized dorm during the month of July!